First day of summer, cool, wet and hail forcast! 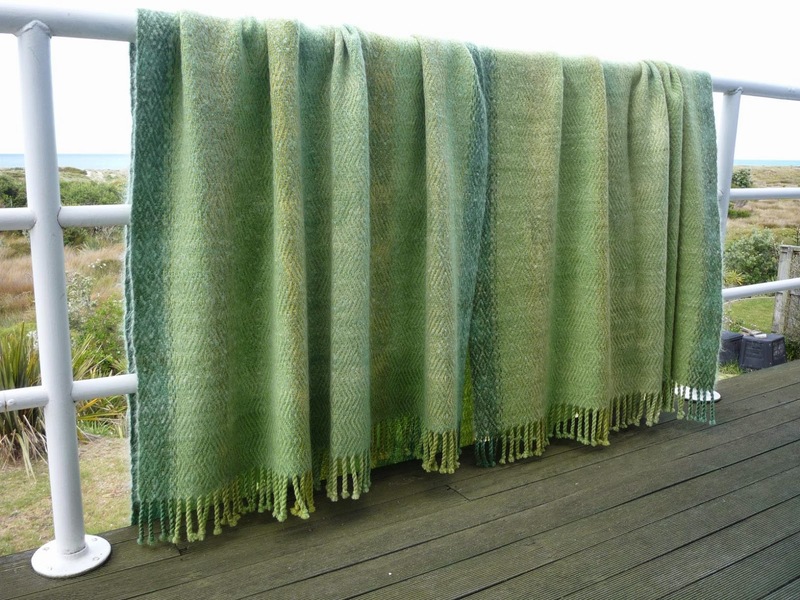 Two blankets here in soft spring greens, so much fun to weave. and the bonus was seeing all the family. 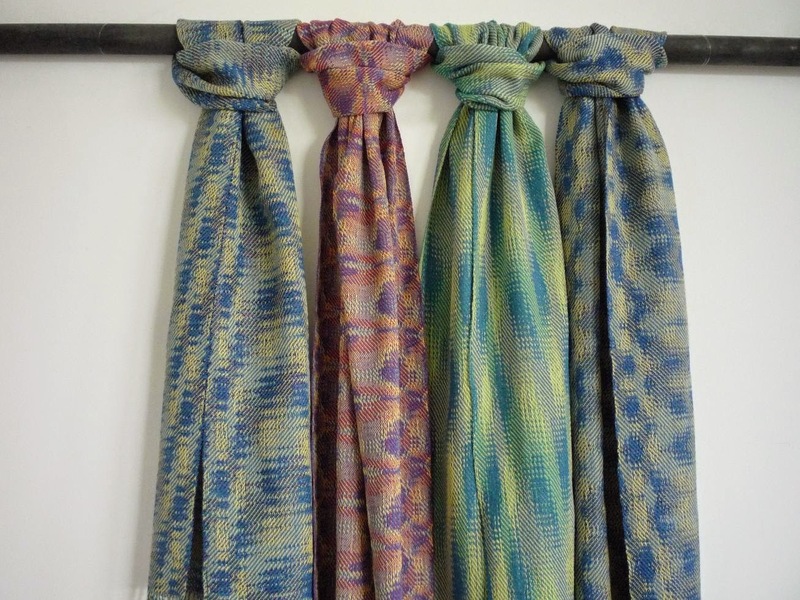 All four scarves from the same interleaved warp, again fresh spring colours. And shock my horrors, I'm trying to thread the loom back to front. Am using a dummy warp and will tie the real warp on from the front. 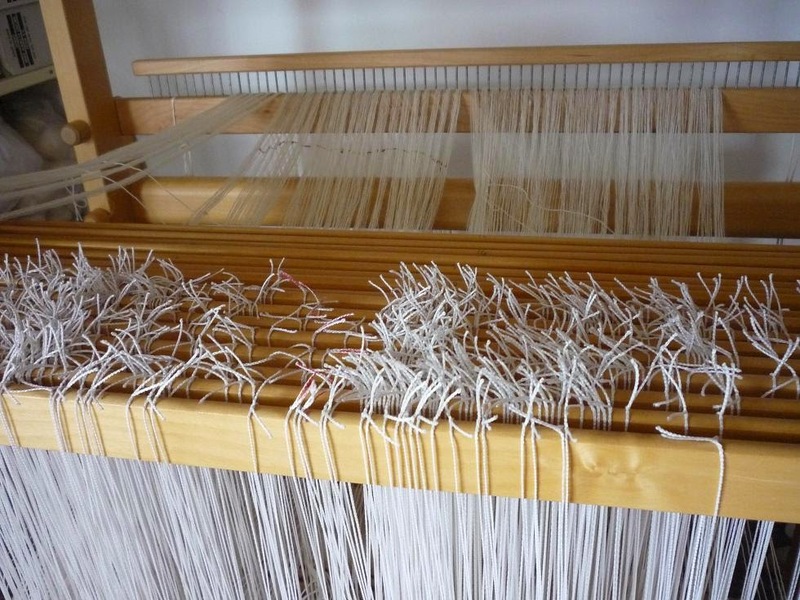 Seems silly to have to restart the computer to turn the loom on just so I can put a cross in front of the heddles so I can thread 2 threads per dent in the reed and again in front of the reed for the tie on. Thought this was the easier way to do it rather than wind a warp with 4 dark 1 light 1 dark 1 light for 560 threads. The bonus is its been easier on the torn shoulder tendons and the back. This will be grill cloth to cover the speakers on son in laws retro sound system.